MOSCOW, May 28. /TASS/. US businesses have made a number of requests to Russian President Vladimir Putin calling on him to mitigate the bill on counter-sanctions, Head of the North Africa Department at the Russian Foreign Ministry Georgy Borisenko told the upper house of parliament, the Federation Council, on Monday. 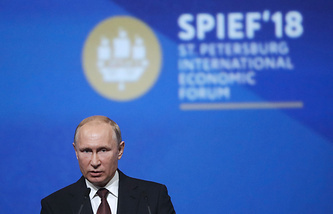 "In the United States, the reaction comes from business circles as a great number of major US companies have been actively working on the Russian market since the Soviet Union time and would like to stay here," Borisenko said. "Among these circles this apparently triggered tensions, there has been a number of requests from some major companies and from the US-Russian Business Council to the Russian president calling to look at the draft law submitted in April and possibly mitigate it," he noted. According to the diplomat, the document in its current form is appropriate since it allows the Russian president and the government to define particular areas and measures where influence may be exerted. "Touching on the US administration’s response, there has been no clear statement so far," he noted. "But in general, we hear from our US colleagues during conversations that Washington noticed that Russia is gearing up to pass this legislation and is carefully monitoring the process of its adoption and will apparently look how it will come into force." 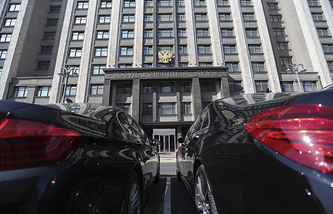 On May 22, Russia’s State Duma (lower house of parliament) passed in the third and final reading a law on counter-sanctions against the US and other unfriendly states. The law stipulates that the Russian president may provide the government with the right to impose restrictions, provided they do not apply to vital supplies which have no counterparts produced in Russia or other countries. Decisions on sanctions may be made by the president based on proposals submitted by the Russian Security Council. At the same time, in case the situation causing the introduction of sanctions should change, the government will remove these restrictions. The Russian cabinet will have the right to halt cooperation with unfriendly states and organizations controlled by them or affiliated with them. The government can also ban and limit the export of goods and raw materials from the US and other unfriendly states. However, restrictions will not apply to goods that Russian and foreign citizens may bring from abroad for personal use. Russia’s State Duma considered two bills related to counteractive measures against western sanctions. The first bill provided for imposing countersanctions and the second one envisaged criminal liability for compliance with Western sanctions on the Russian soil. The second bill raised criticism of the business community. On May 17, the State Duma postponed consideration of this bill in the second and main reading until June in order to hold consultations with business first.